Our engineers work in West Horsley, East Horsley, Effingham and have been repairing all makes of built-in (integrated) and freestanding Washing machines for many years. We regularly replace PCB's & Motors, supply and fit new seals / gaskets & attend to all faults that occure from time to time with modern Washing Machines, Dryers & Washer Dryers. Our expert qualified repair staff have been providing cover in the West Horsley, East Horsley, Effingham area for years and would be happy to come to sort out issues with your range cooker, hob, built in or freestanding oven / cooker & we are qualified to work with both Gas & Electric appliances (or a mixture of both). Have you got a broken Saniflo in West Horsley, East Horsley, Effingham that needs to be repaired? We have the expert tradesmen who regularly work in the West Horsley, East Horsley, Effingham area who can fix your problem fast or provide you with a replacement unit. 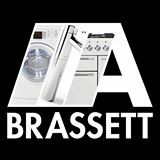 To book a domestic appliance repair in West Horsley, East Horsley, Effingham call our central booking office 020 8462 6073.